In addition to all the legal regulations, there are a number of unwritten rules that are important to keep in mind. These involve, for example, how to treat the natural environment around you, cleaning up after yourself, respecting other fishermen and handling the fish you catch. It goes without saying that you should clean up after yourself and take trash etc. with you when you are through fishing. But beyond this there are special considerations you should have in mind. First of all, hooks and fishing line left behind are especially dangerous for animals. And since we as sport fishermen depend on permission to fish in various places, it is by no means a good idea to spoil the natural environment and thereby also the goodwill and respect that landowners and fishing clubs have for us. Together we must take care of the natural environment, our waters and our common interest. Part of the joy of fishing is to get away from everyday routines and the hustle and bustle of daily life. 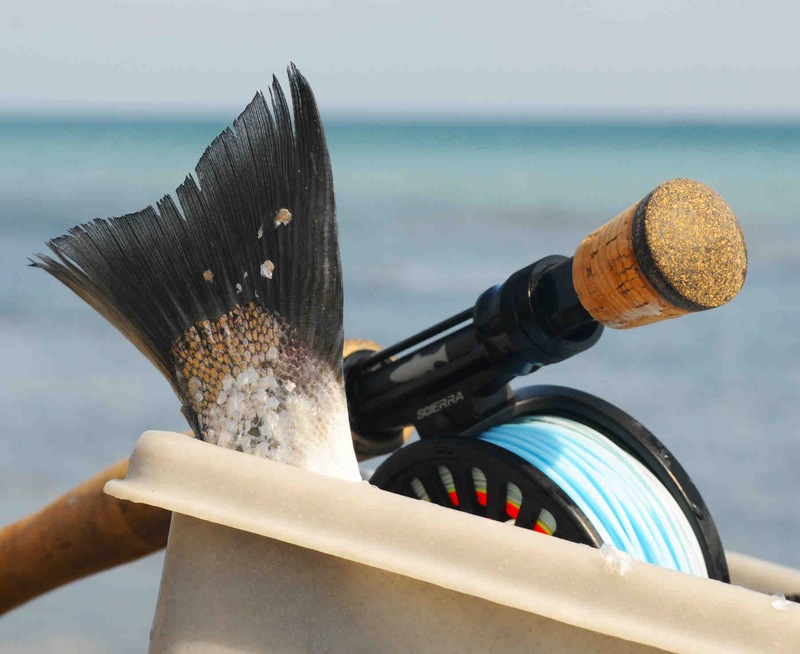 Many sport fishermen enjoy the privacy they have when they are out fishing, so when you encounter other fishermen at lakes, rivers or by the sea, you should be considerate. Here we are dealing with both a personal and a common situation. On harbor rocks or at a put and take lake you can typically fish close together without irritating others, but most fishermen generally like to have plenty of space around them when they are fishing from the coast. And whereas some fishermen are happy with a little company, others are less interested. As a general rule of thumb, it is a good idea to keep a distance where possible, and otherwise ask the other fisherman if it is OK to fish close by. 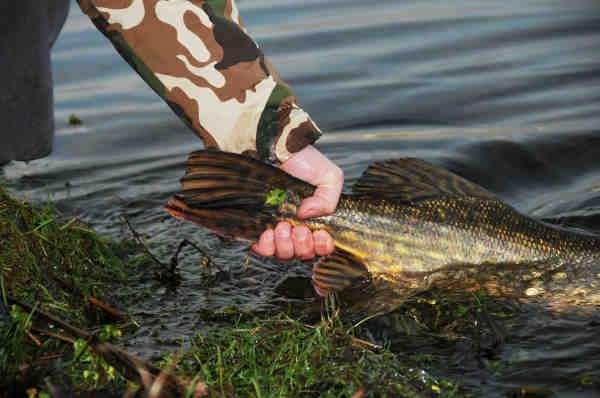 If you are releasing your fish, you should set it free as quickly as possible. Fish are living organisms that demand proper treatment and respect. Thus, you should already ask yourself during the fight, whether or not you will keep the fish – that is if it meets the required measurements. If you decide to keep it, you should kill it immediately. If you are releasing it, you should set it free as quickly as possible. Be sure the fish is out of the water for the shortest possible time, take the hook out carefully and handle the fish as little as possible. The scales and the outer layer of slime protect against infections, and if you touch the fish too much, it will be extremely vulnerable and could potentially perish. If you intend to release your fish, it is also a good idea to use as much pressure as possible during the fight. Long fights drain the fish for most of its energy and also make it become acidic. Of course, the fight is a big part of the joy of fishing, but a fish that has been fought and landed without being unnecessarily tired out will have a much better chance of surviving a release than a fish that has been landed after a long exhausting fight. If you run into a school of fish on the coast that have to be released no matter what – for example lots of post-spawners in the off season when they are protected, or small fish under the minimum length, then you should think about changing your location. These are not exactly the fish you dream about catching, and since they have to be released anyway, you should consider saving them from being hooked and tired out during a fight. 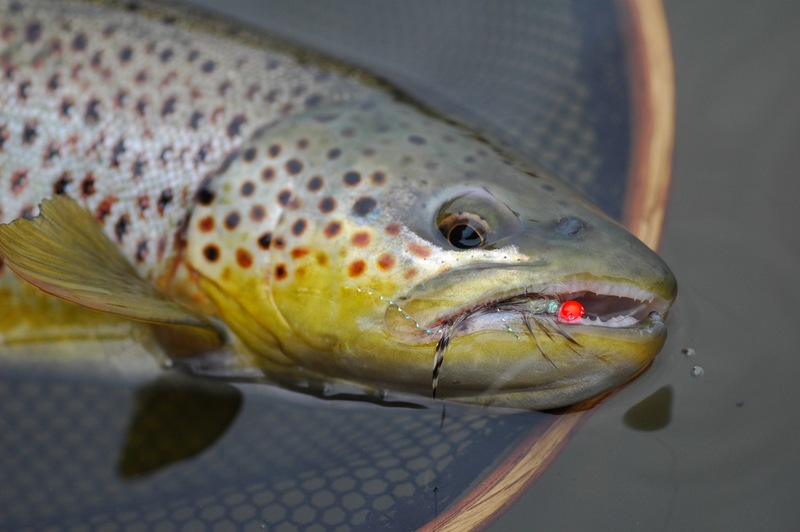 As far as in-season post-spawners and trout in their spawning colors are concerned, it is totally up to the individual fisherman to determine whether the fish should be kept or not. This is a hot topic that most have an opinion on, but no matter what, a sea trout that has been taken home is a fish that has been removed from the total population – regardless of whether it is silver, colored or out-spawned. Actually the removal of a large sea trout ready to spawn caught near its native river just before off season is probably more of a crime against the sea trout population than taking home a out-spawned fish. The fish that is about to spawn would most probably have laid its eggs successfully and thus contributed to the continuing survival of the species, whereas there is little chance that the post-spawn fish caught just after spawning will successfully spawn again. This decision is up to the individual sport fisherman, and as with everything else, you should use sound judgment in making your fishing experience as sustainable as possible. Bringing a fish home, preparing it and enjoying the meal is an integral part of being a sport fisherman for many people. And there is nothing unnatural about this. Fish are healthy to eat, and delicately prepared they taste heavenly. If you plan to bring fish home, don’t forget to bring along a filet knife, a plastic bag, a cooler and freezer elements. Fish keep best if they are cleaned right away and kept cool until they are prepared or frozen. In Denmark there are currently no limits to how many fish you can take home, so this is up to the individual fisherman. Use your sound judgment here, but remember not to drain the fish population unnecessarily. Small populations of fish, for example in small streams and bogs, are more vulnerable to depletion than fish in larger lakes or on the open coastline. One basic rule is never take home more fish than you can eat yourself. In Denmark there is actually a regulation that stipulates that it is illegal to sell your catch. According to the Danish Nature Protection Act there is free access to all coastlines. In principle this means that you are free to fish anywhere along the 2,000 kilometer stretch of coastline along Zealand and the islands. There are, however, several restrictions and exceptions to this that you should be aware of. First of all, fishing along the coast requires that you can get to the water, and this requires municipal roads or passageways across unfenced marshes. Thus, you can’t get to the water from a private road or through fenced areas – unless you have a private permit. And secondly, according to §22 of this act, all traffic has to take place along the daily low tide line and along the continuous land vegetation. And if you are on privately owned stretches of coastline, you can’t stop to fish within 50 meters of homes. And finally, you can only stop “briefly” along the beaches, which means that you can fish there all day, or all night. You are not allowed to pitch a tent, but you are allowed to sleep on the beach in a sleeping bag – also with a tarp on top. Unfortunately, you are not allowed to fish along the banks of all lakes and rivers, so be sure you have permission – either from the landowner or from a local fishing club. 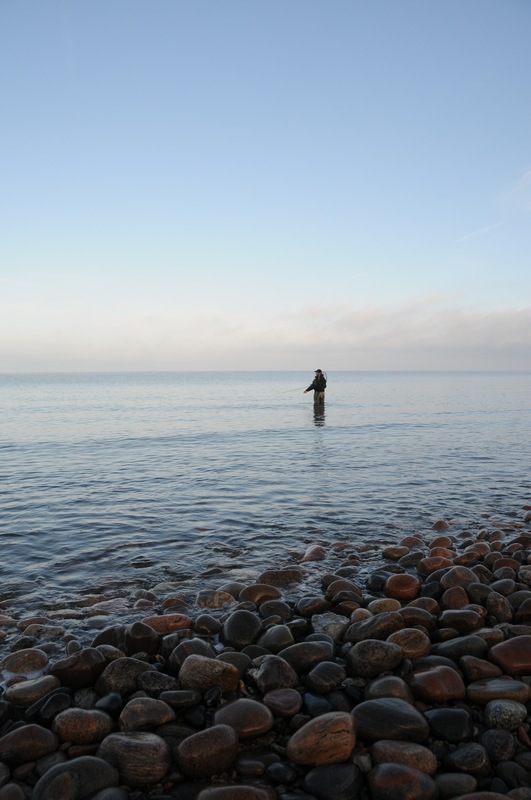 No matter where you fish, you should respect signs, private property and agricultural areas – and above all conduct yourself quietly and with respect.